Friendly teacher who makes maths and physics easier! 19 year old QUB Physics with Astrophysics student. On average for year, sitting on a First. A* in GCSE maths and physics with A in A level Maths and B in Physics (A* in theory but was sick for practicals.) 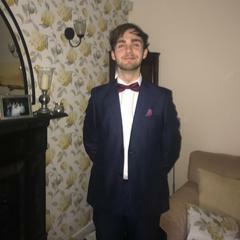 2018/19 President of QUB physics and maths society! Very good at explaining complex maths and physics and will be a great asset for exam time! What is the answer to this question: in a school, tutor groups have a maximum of 24 students. There are 185 students in year 7. What is the smallest possible number of year 7 tutor groups? Show your working out?